The purpose of kitchen hood testing is to ensure containment of heat, steam, vapors, obnoxious odors, smoke, and fumes emitted by the cooking equipment and to prevent condensation accumulation and drippage. In many areas, testing is required by code and will likely need an independent agency for verification. 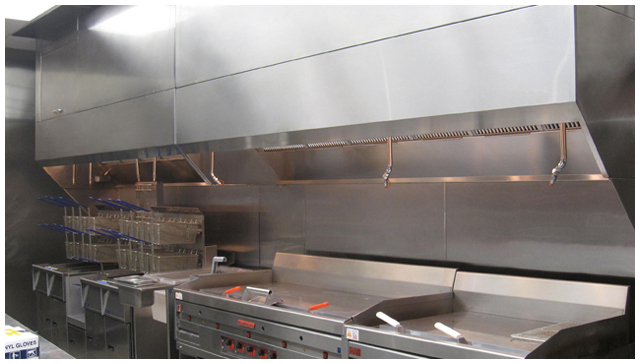 Research Air Flo has the experience necessary to setup exhaust and make-up airflows for your kitchen hood systems. Our technicians will test the associated fan operation, verify controls are in place and interlocked, and visually confirm smoke containment at each hood using smoke candles. Feel free to contact Research Air Flo to discuss Kitchen Hood Testing on your project today!